With an existing order in Shopify, you can edit order note, contact information, shipping address, order metafields, order tags. You can’t remove, add product, change quantity, edit SKU. 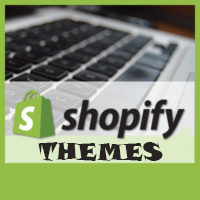 But you can refer the below Shopify apps that help you to edit them. Editify helps reduce the stress and time of dealing with customer order changes. The Payment Requests feature lets you request an additional payment from your customers directly through your secure online store with just two clicks! No setup required. Accept payment right away when you add to an order, upgrade shipping, or exchange for a more expensive item. The tax tables and tax calculations exactly match Shopify’s. When you create a new order or change a shipping address, they ensure that your order’s sales taxes are updated in real time and are 100% accurate. Pay Attention: Actually, the apps will cancel previous orders and create new order with the new adjusted values.